In the fifth in a series of posts on 2017 books entered for The Story Prize, Adam O'Riordan, author of The Burning Ground (W.W. Norton & Company), discusses what led him from poetry to fiction and how he approaches his work. What influenced you to a write short fiction? Spending time in America—in New York and then Los Angeles—is what moved me from writing poetry, which is where I began, into writing prose. The plurality of the place, the patent sense of possibility, the promise of it and the way in which promises are broken there all conspired to make me into a writer of prose. And glad I am they did. I try to write on the majority of working days, so three days writing in any given week will be a good week for me. If something is going well, I’ll write on weekends, too, both Saturday and Sunday. I usually write for around three hours and always in the morning, from about 9 a.m. after coffee until 12 p.m. when I start to want to eat lunch. If something is going really well, I’ll write again in the evening from 6 p.m. until 9 p.m. or from 7 p.m. until 10 p.m. For me, it’s about getting runs of days together. That’s when things start to happen. 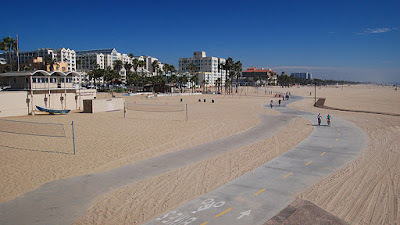 Without exception, my clearest ideas have come to me while running along the stretch of sand from Venice Beach to the Santa Monica pier; the mixture of sunlight, sea air, the vast space out to sea and big crowds nearby on the boardwalk. Though these days, it is only an annual or biannual pleasure at best. Here in Manchester, England, where I live, I write between a number of places: my apartment in an old cotton mill in the center of the city, the Portico Library, and Central Library. More and more these days, I write in the lobby or the bar of the Principal Hotel, another grand Edwardian building from when the city was in its pomp—lots of space and friendly waiters and waitresses. I like to arrive early as the guests are finishing breakfast and be on the edge of that sleepy, pleasantly displaced and transient energy that always seems so full of potential. "The Dead" by James Joyce, the final story in his collection Dubliners. A story so full of rich life and sadness, so grounded in the detail and lived experience of a place, yet rising above and beyond it right out into the eternal. With an urge, sometimes in the form of an image or a phrase, sometimes in the form of a voice, a voice that might be trying to work something out or arrive at some form of clarity about something, after which comes, on my part, a desire at first to hear it or, if it’s an image, see it as clearly as I can and then to elaborate on it, to invent and to embroider. To take a good look around the life that I’ve found. I think it’s perhaps a question of density—at the end of the story when it’s done, I’ll be feeling denser or lighter depending on the kind of story it is. I suppose by the end I’m often feeling sadder too. Listening to music is often a good preparative; physical, mental, and spiritual in one. Philip Glass or Max Richter, things like William Basinski’s Disintegration Loops hitting that same note of trance-like melancholy over and over, which you notice and then don’t notice. Little by little, day by day. A few minutes at a time at first, until it takes again and some sort of rhythm is rediscovered and you ride it for as long as you can until life usually intervenes and then it's back to getting going again. Autumn, 1934, a shy man, careworn and a little run to fat, somewhere in late middle age, named Wallace, is driving a Chevrolet Open Tourer he has rebuilt from scrap, from Caddo, Oklahoma, to the Great Lakes. He is looking for his father. I try, whenever I can, to give an hour from any given day over to reading, usually in the late afternoon —and sometimes at night for twenty minutes or so I’ll read aloud or I will be read to—I think this is probably the most intimate form of luxury known to man. In the fourth in a series of posts on 2017 books entered for The Story Prize, Katherine Vaz, author of The Love Life of an Assistant Animator (Tailwinds Press), discusses the importance of jotting things down and also finding nonverbal means of expression. When my father was dying, I moved from New York to my native California, the Bay Area, to be with him alongside my mother and five siblings. I ended up writing a story about him published recently in Guernica, and it reminded of the strange route I took to get it from my heart—and bones and nerves—onto pages. And so on. Dropping these desiccated word-tablets in water later would yield: On St. Patrick’s Day, I fed him puréed chocolate Guinness cake, and it took thirty-eight minutes. When my mother and I left him in the special dining room for those requiring extra assistance, he yelled, “Don’t leave me! Don’t leave me!” His diagnosis of “aging brain” made me envision his comments as confetti. On a day he improved, the lemon tree in the yard dazzled me, because false hope made it—made everything—seem backlit in neon. When nurses asked what direction he wanted to go, he said, “Ao lado,” and I explained he meant “to the side” in his native Portuguese. When he died, on a warm, September afternoon, we were all there as he slipped away, and my fragment was “crying not leave.” To trigger the remembrance of that morning, when he’d sobbed about not wanting to be done with the world. In a manila envelope that held my scrawls on pieces of paper, on receipts or corners of pastry bags, I also placed a plastic ring off an orange-juice bottle, because while running on the Castro Valley High School track, I asked the universe to send me a hair bow or fastener, a sign that a prayer could be answered, and my lack of glasses produced a joke. I’d thought it was a ponytail tie. But instead of hammering out sentences—writers can jump too swiftly into Getting This Done—I switched gears because I believe writers should explore directing their senses toward actions that plumb toward painful subjects, toward emotions that roar in protest if funneled too soon into the practical, obedient service of words. I’ve always done box-art, thanks to my adoration of Joseph Cornell and my father’s constant painting. He always delighted in a language of color. Box-art deals in the blessed relief of abstractions, tints, and juxtaposed forms. In hours-long sessions, never pausing to “think,” I constructed nine boxes about my father. One is called “Writing the Lord’s Prayer on a Grain of Rice—A Kit,” and I have trouble even glancing at it because there’s a picture of him in his last week that nearly destroys me. But that’s one of the few concrete images in this series; the constructions are mostly instinctive and non-photographic. I moved with ease and fervor, producing collages and shadow boxes that magically held together. The artwork was not a sidetrack but a conduit to forcing my sorrow—how I miss him still!—to pool in a groundwater I could siphon upward, into words that connected to—expanded—those cryptic original notes. Writers do well to find off-center, nonverbal, active ways of letting reservoirs collect. His own practice of painting suggested my pathway; find whatever suits your own depth-work. I searched for items to fit the shadow boxes; I went out walking to find what might, for instance, symbolize his love of gardening. It is a lesson we forget at our desks: How vital it is to keep the blood flowing in our veins while we are yet alive; to stretch; to enjoy how non-narrative falls into place, whether with thread and glue or something else. After all, the world uses color and shape to infiltrate our sensibilities that proceed to color and shape our words.